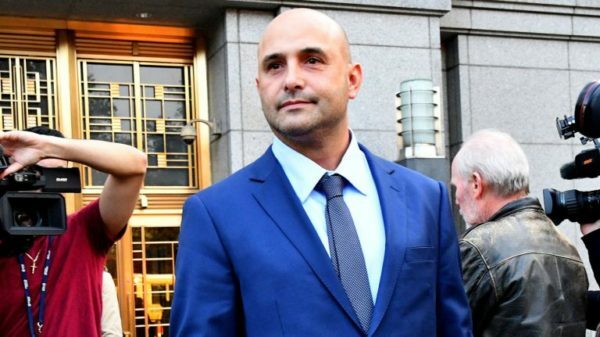 Craig Carton took a predictable beating on social media Wednesday in the wake of a guilty verdict in his federal trial on charges of conspiracy, wire fraud and securities fraud. So it goes for a guy whose public persona was bold, brash and bullying, with an oft-stated philosophy that while lying to women and children is acceptable, lying to men is not. Then he was convicted of plenty of that, in the form of a Ponzi scheme that misled investors in his ticket resale business, with proceeds used to pay gambling debts and pay off earlier investors. It was the kind of cockamamie plan that would have been fodder for endless mocking on his old WFAN morning show had it happened to someone else in New York sports or media, so having the tables turned on him was fair game. But the entire, sordid episode is nothing to celebrate or laugh at. It is sad. The man has four children, and regardless of how much prison time he serves, his finances will be in ruins for years to come. “I’m going to go home and hug my kids and let my lawyers deal with the rest of it,” he said after the verdict was announced. When he is free to do so, presumably sometime next decade, might he be employable in sports radio? Perhaps, but who knows where? WFAN is unlikely ever to touch him again, and ESPN also seems like a non-starter. The shame of this beyond the personal damage to Carton’s family and financial damage to his victims is that Carton happened to be good at his job. READ THE REST OF THIS NEWSDAY COLUMN HERE.